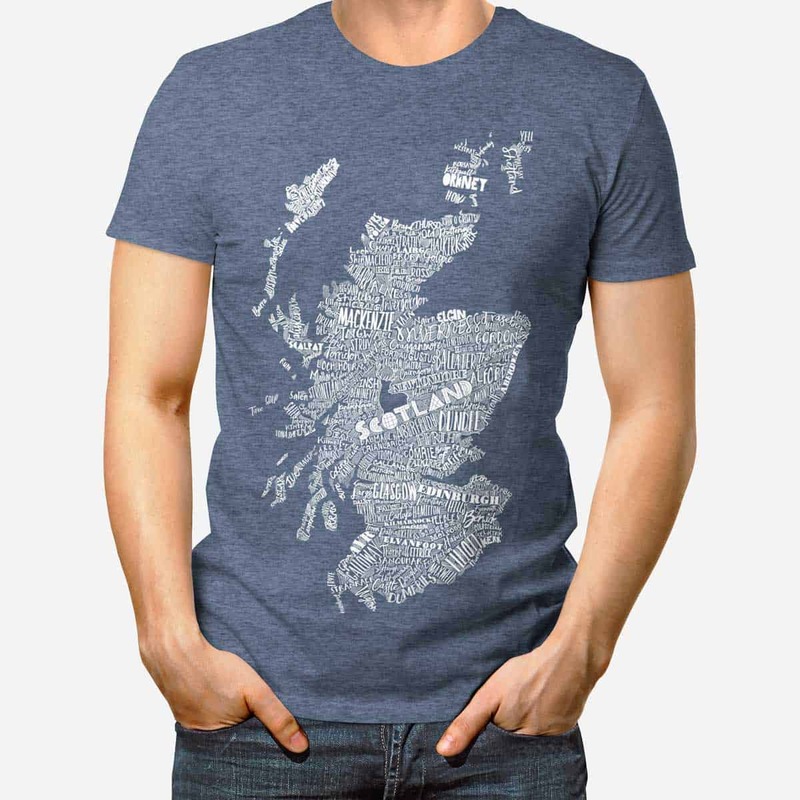 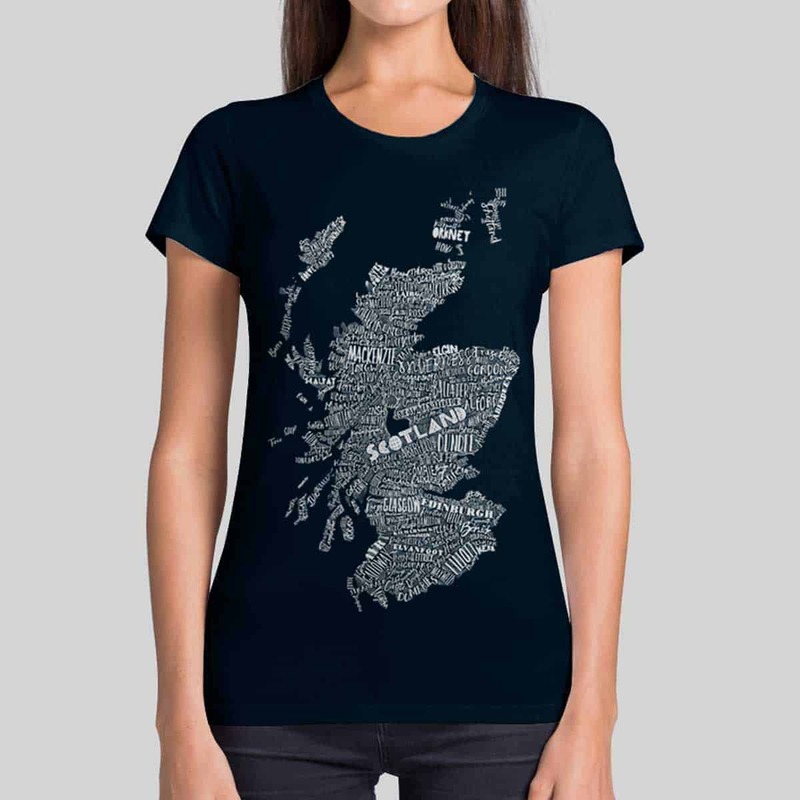 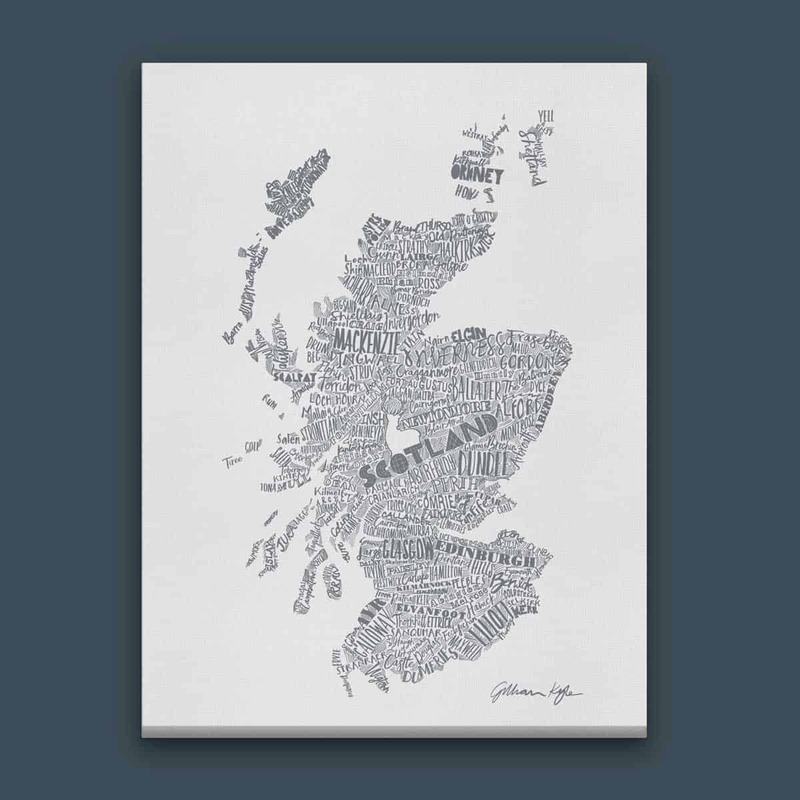 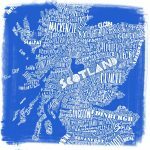 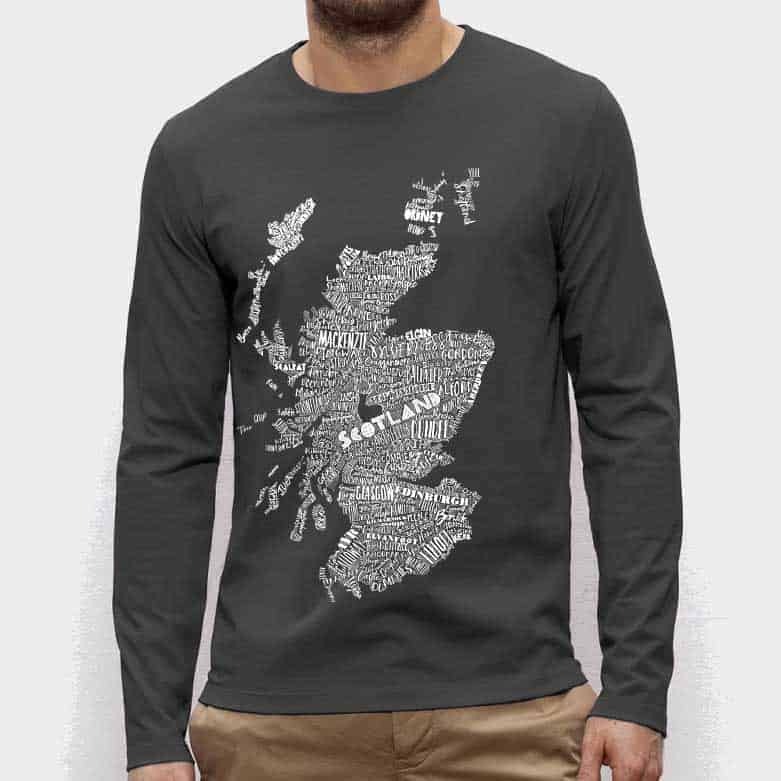 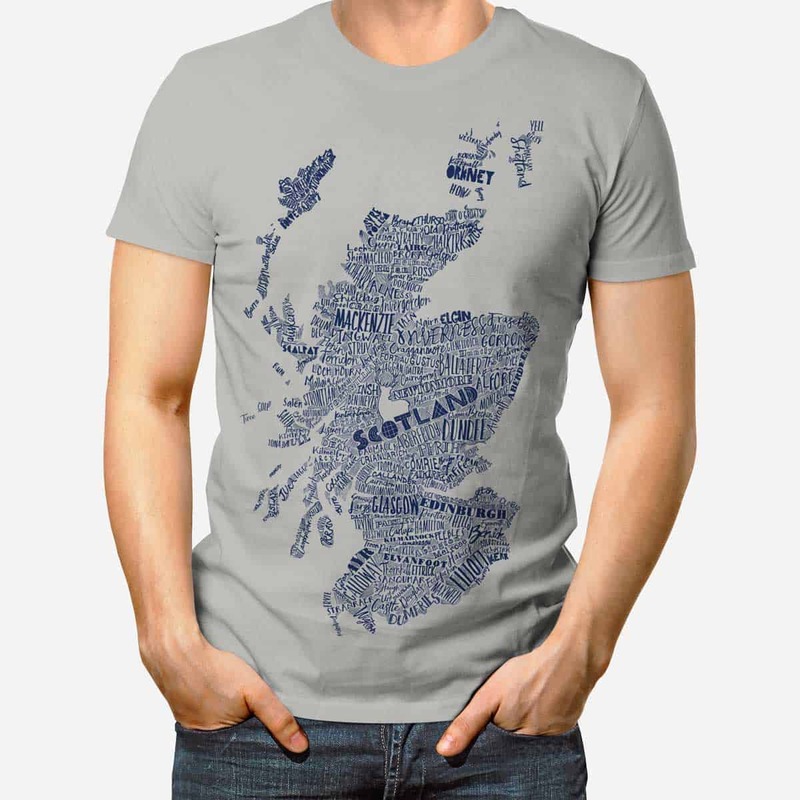 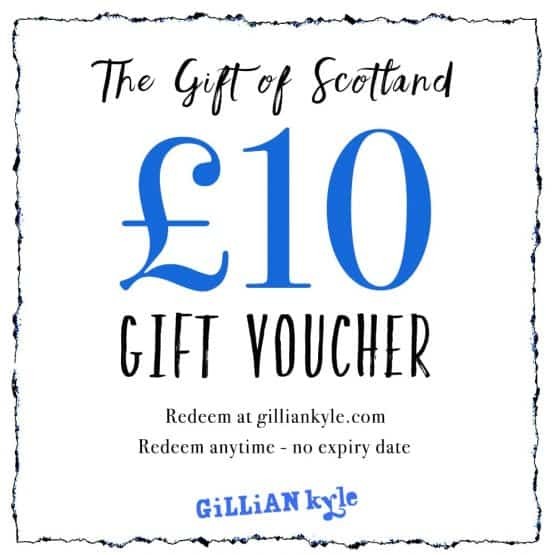 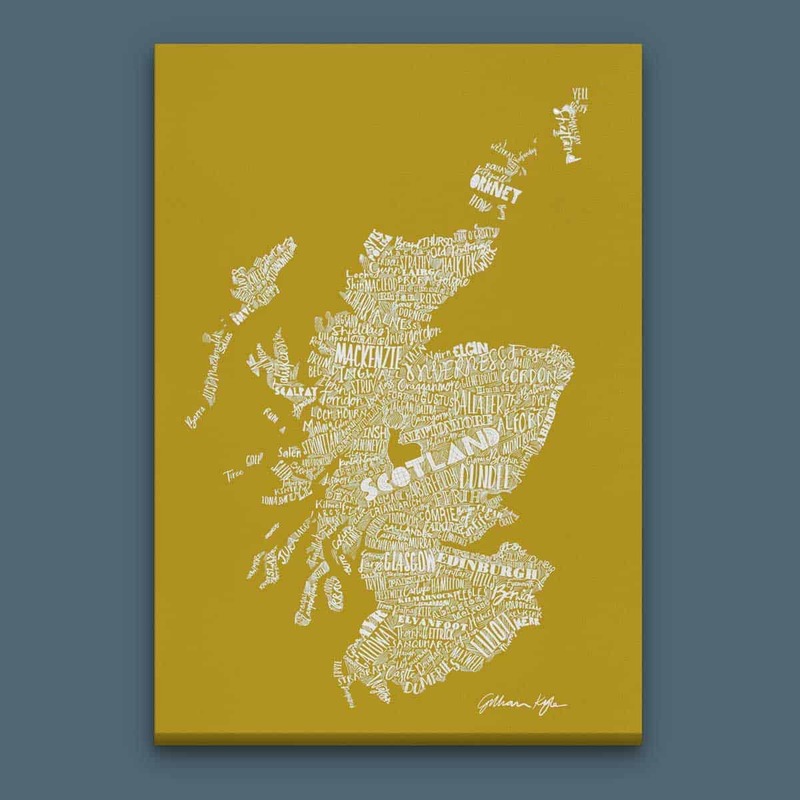 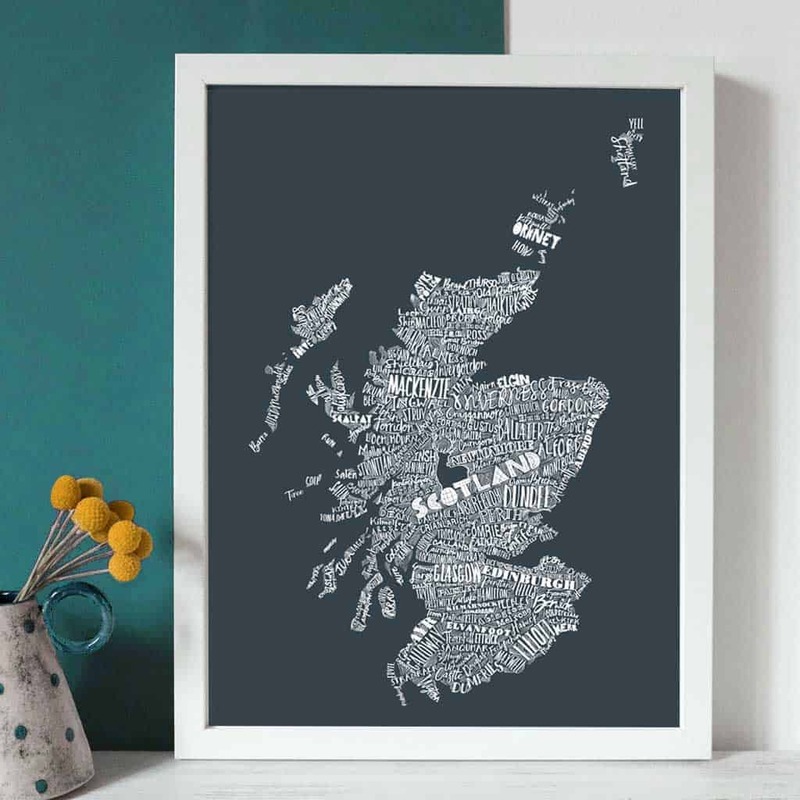 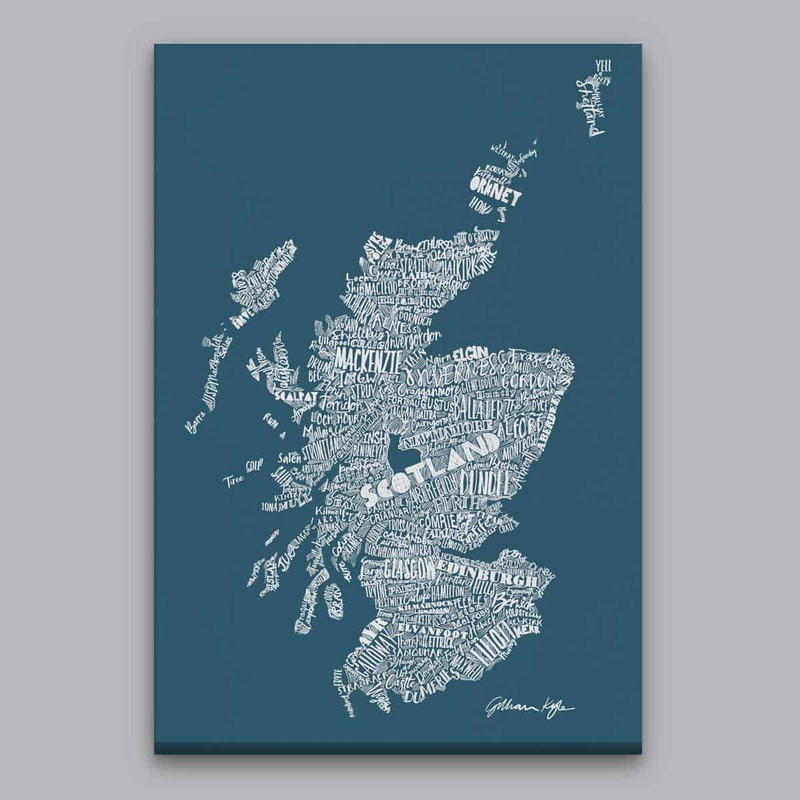 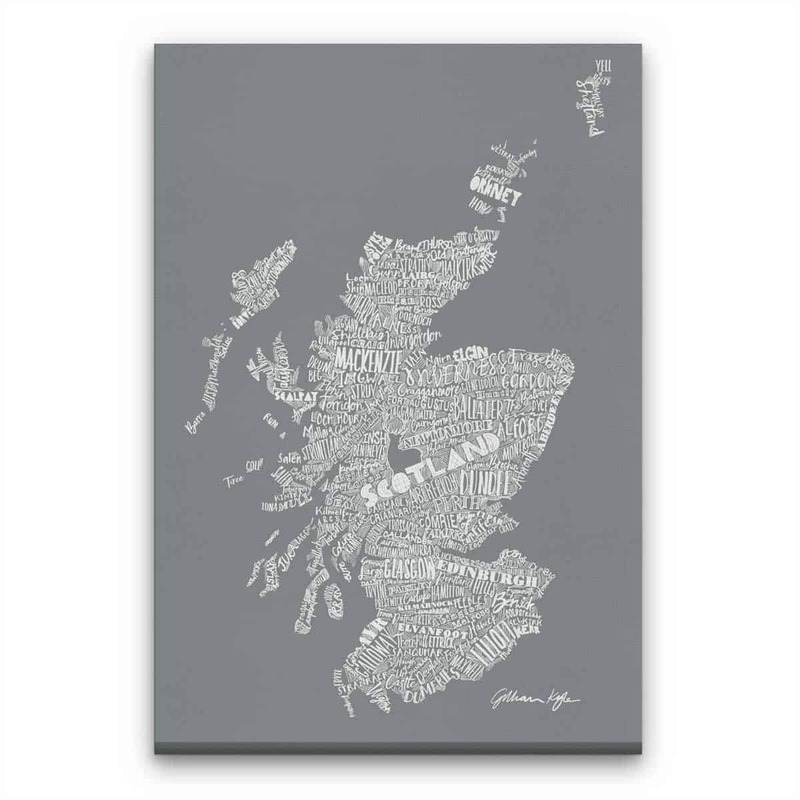 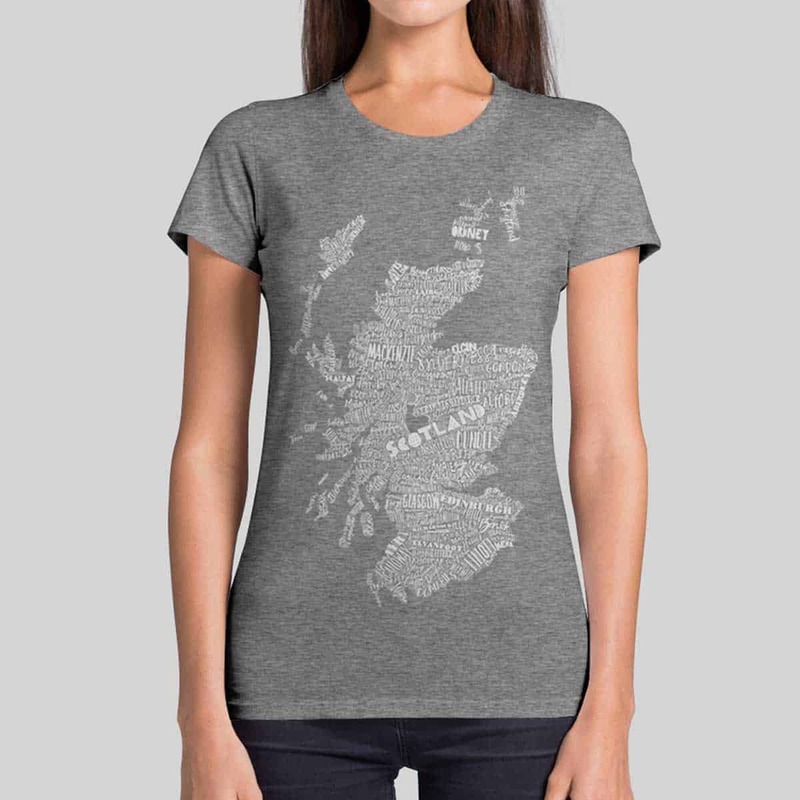 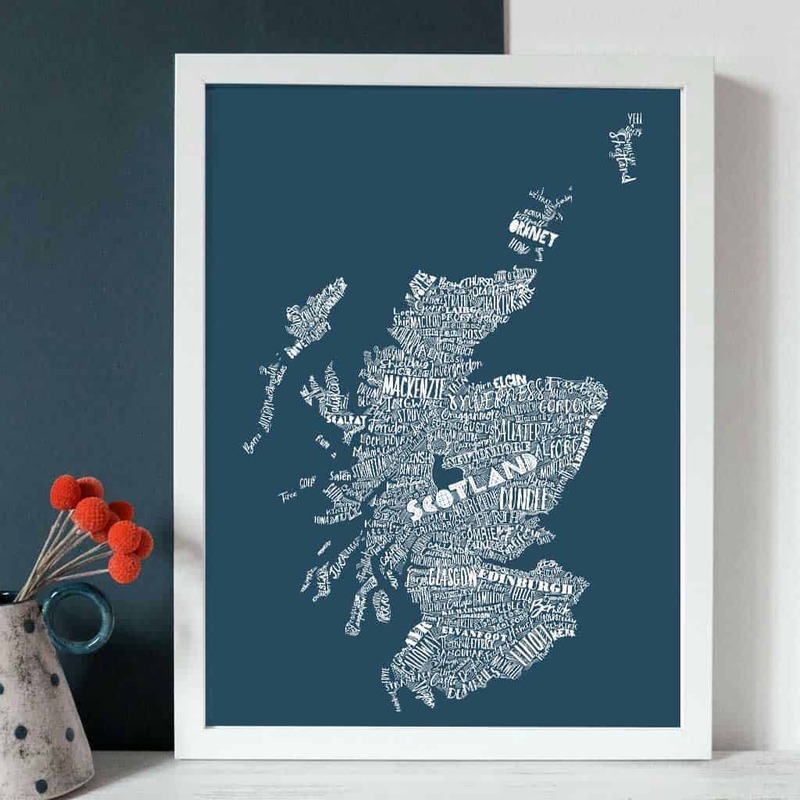 Express your roots through Gillian Kyle’s intricately hand-drawn place name map of Scotland range. 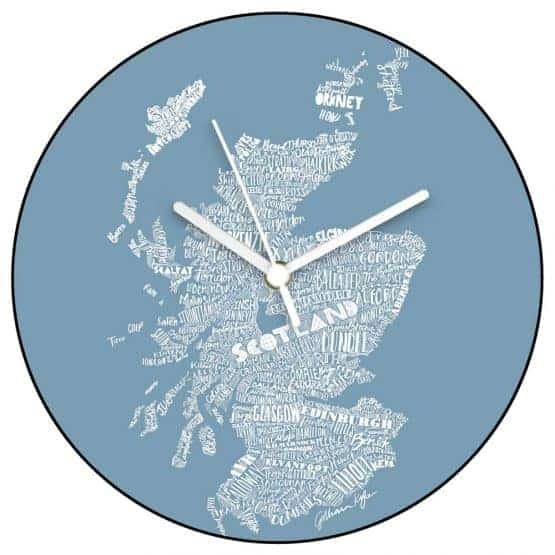 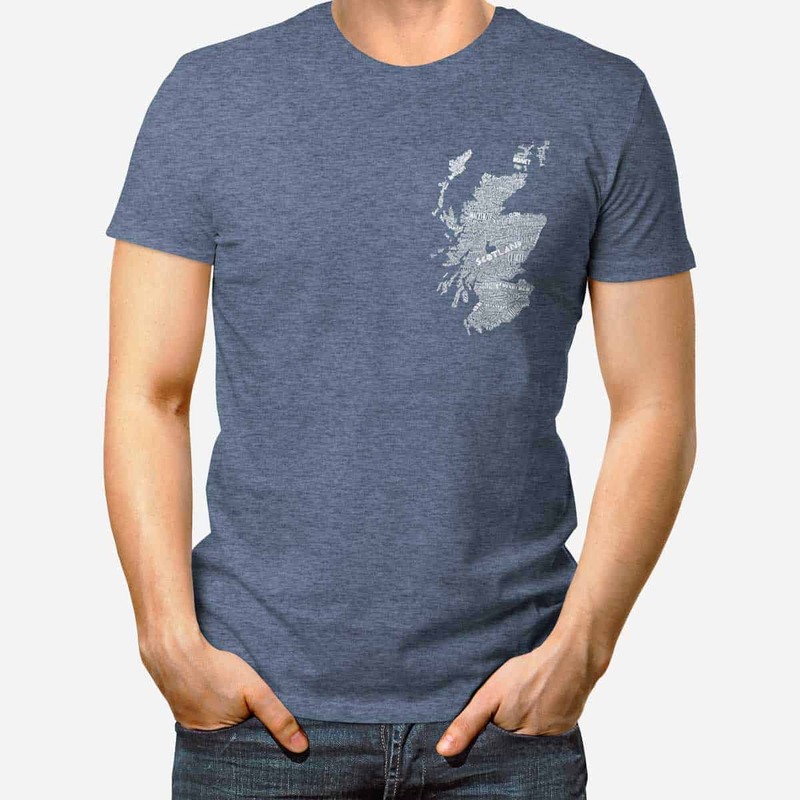 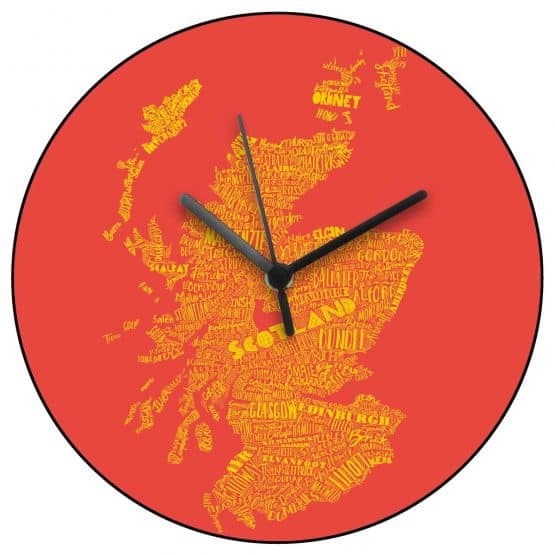 This is my unique take on the Scottish map and the canvas and clock hanging on my walls at home are a constant source of fascination and reference for family and friends. 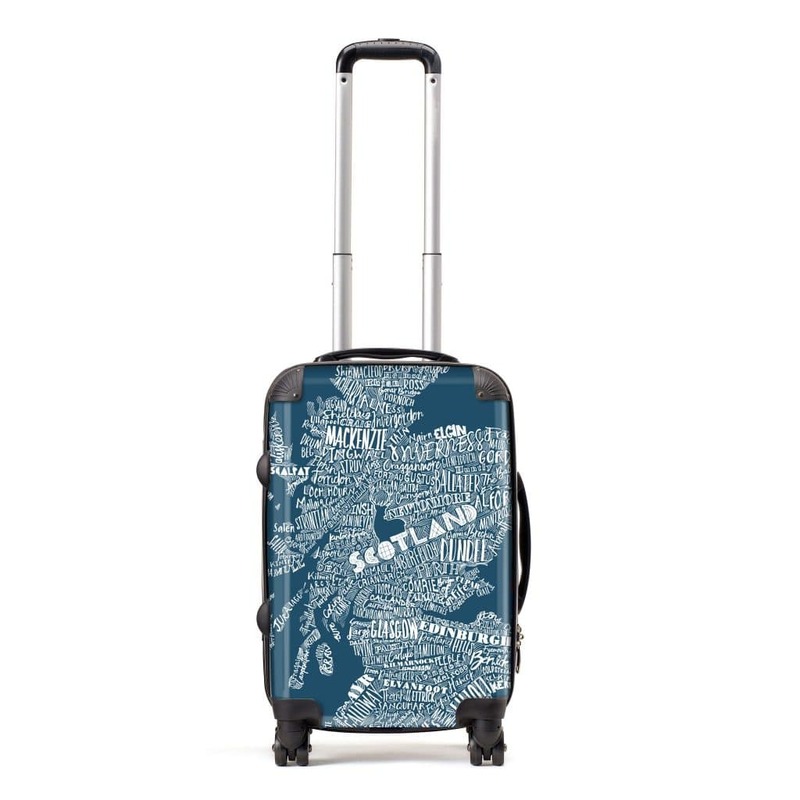 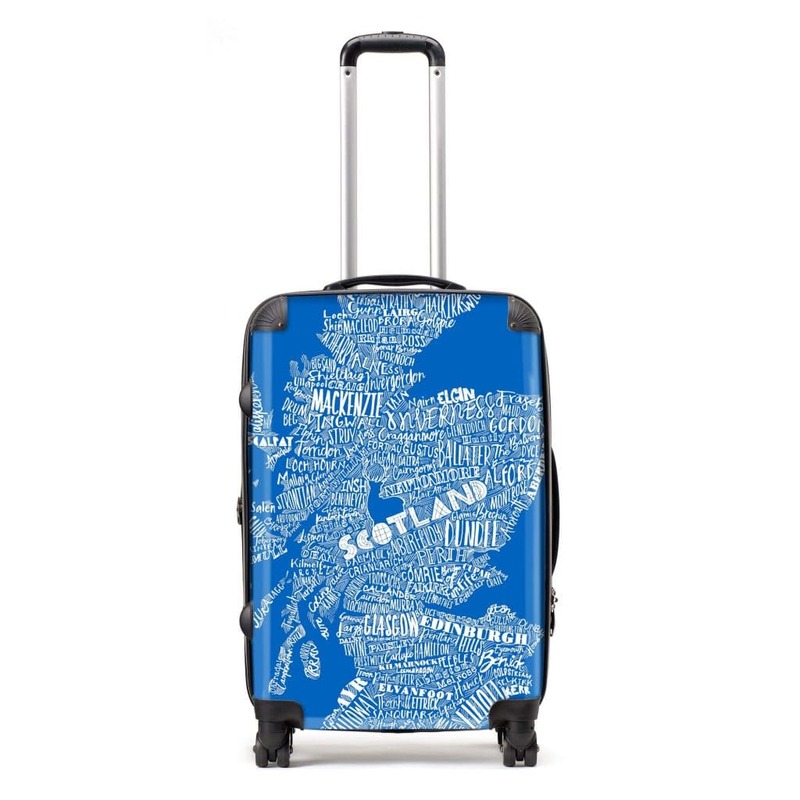 And a Mapped Out Scottish suitcase will always help you find your way home!